Idle Hands: Bigshot Toyworks Presents Mike Mignola's "Monkey With a Gun"
Bigshot Toyworks Presents Mike Mignola's "Monkey With a Gun"
Some artistic images are instantly iconic, resonating with audiences across the planet as they receive some unspoken message delivered to the viewer directly. They'll say "It's a message about gun violence in our schools." or "It's a reminder to always question who holds the power and how much power we give them"....or maybe it's just a monkey holding a gun, drawn by the unmistakable hand of Mike Mignola of Hellboy fame! 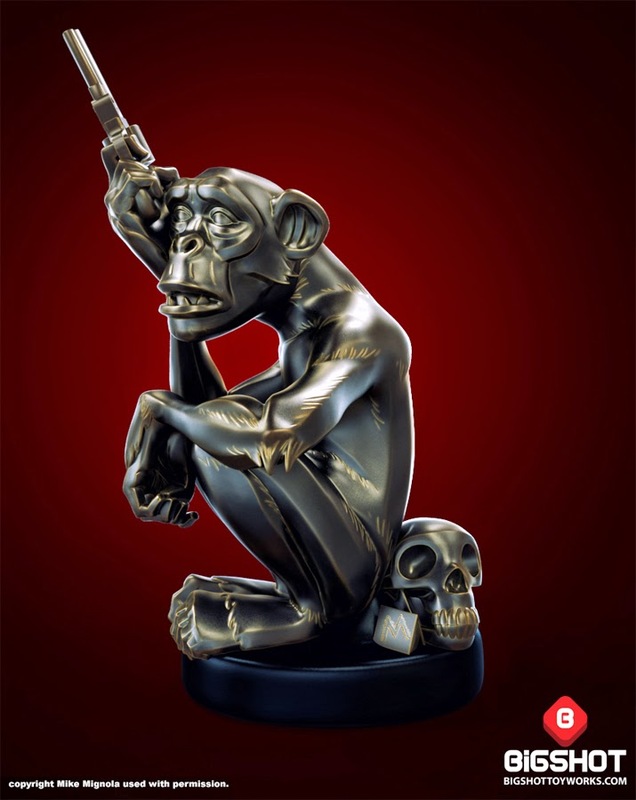 With a love that knows no bounds for a body of amazing work, Bigshot Toyworks is proud to present "Monkey With A Gun", a limited edition, hand crafted resin figure standing 9.5 inches tall with a faux-bronze paint application. The result is a must have piece that will be the center of any die hard Mignola fan's art collection and a striking point of conversation amid a comic book lover's displays. Of course, you don't need to be either of those things to appreciate this killer translation from page to three dimensions, with all that monkey angst included at no extra cost. 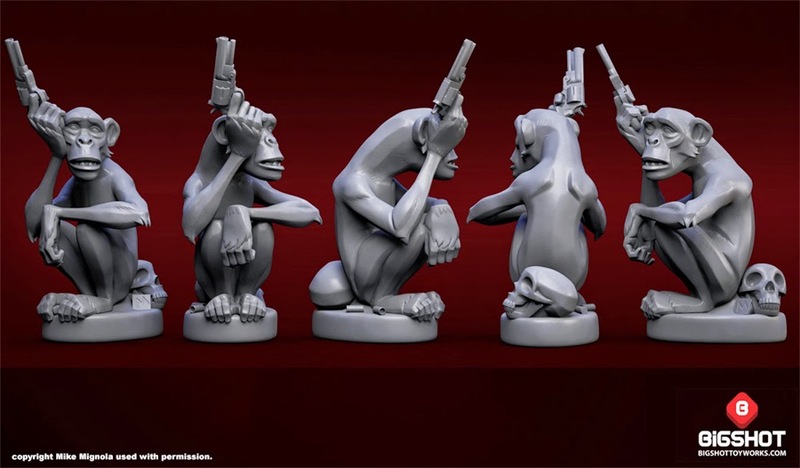 "Monkey With A Gun" can be purchased directly from your friends at Bigshot Toyworks. Head over to THIS LINK to stake your claim today! Visit www.bigshottoyworks.com/ for more info and news on upcoming releases. Latch onto us at https://www.facebook.com/BigshotToyworks and you can keep up with our latest works while browsing adorable cat pictures.